The following document was prepared by Tanabe Taichi, who was the head of the Communications Bureau in the Japanese Ministry of Foreign Affairs in 1877. The document summarizes the different views in the ministry on what to do about the petition by Japanese businessman Mutoh Heigaku (武藤平学) to open up an island referred to as Matsushima. As you can see in the document, the Japanese were not sure which island was Mutoh’s Matsushima. 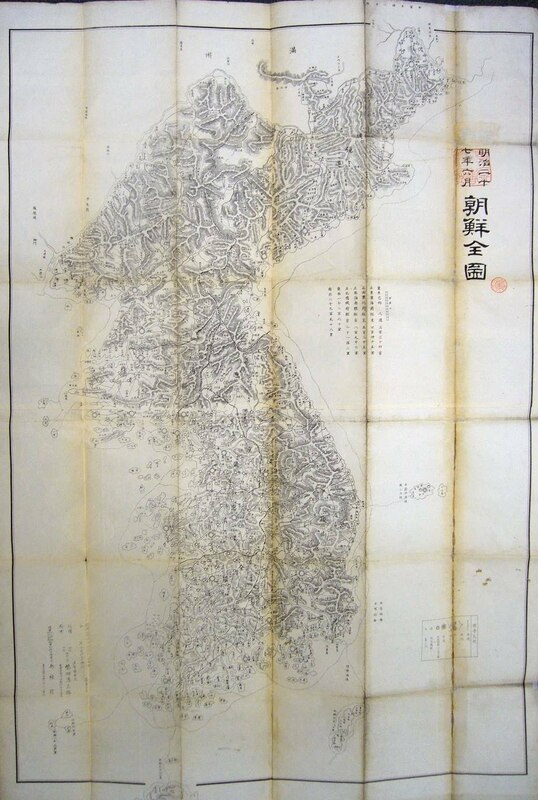 Some believed it to be Joseon’s Ulleungdo; some believed it to be Ulleungdo’s Usando, and others believed it to be some uninhabited island, as was summarized in an 1878 letter written Watanabe Kouki (渡辺洪基), who was the Director of the Bureau of Docouments in the Japanese Foreign Ministry at the time. Opinion A (甲): Whether the island should be opened can be discussed another time, but today we should debate the merits of an inspection. I have heard that Japanese use the name “Matsushima,” but the actual name is “Usan,” which is part of Joseon’s Ulleungdo (蔚陵島). Concerning Joseon’s ownership of Ulleungdo (蔚陵島), there was a dispute during the old government (Tokugawa) when, after exchanging several documents to support our claims, we agreed to give it up, a fact that is permanently written in our two histories. To dispatch someone to inspect without any reason is like counting another’s treasure, and trespassing into a neighbor’s territory. Although Japan and Korea have just begun exchanges, there is still some animosity and suspicion, so people who are trying to develop relations will probably be against something like this since it could cause, in one stroke, a gap to reappear. Moreover, they would probably like it even less if we hired an English or Russian ship to take us to the island. Even if the island is not Korean territory, wise people say that it was clearly a mistake to open up the uninhabited islands in the south and make them a part of Ryukyu County. What we need to strive for now it stabilizing our country, and we will gain nothing by upseting Joseon and causing disorder. We cannot and should not open up Matshushima. To inspect it while knowing how useless it would be, would be extremely unbeneficial. Moreover, it would cause harm later. Opinion B (乙): We cannot decide to open up the land until we have inspected it. When discussing territory, we must physically see it. It is wrong to believe something based on just a piece of paper. Moreover, the island is located near our shore. It is an important route for our people when they sail to the Korean mainland or to Russian locals, so it would be negligent of us to make a decision without without investigating all the details of the land and its situation. Therefore, we should inspect not only the island in question (Matsushima), but also Takeshima (Ulleungdo). We need to know all the details of its current situation. An inspection is needed, but, needless to say, it would be stupid to hire an English or Russian ship, anchor there for only a day or half a day, and allow only one or two officials to land and inspect it. Also, it is not necessary that we do it right away. When the Navy is free, after the Seinan war (a local war inside Japan), we should dispatch naval officers who are experts on surveying and drafting and government officials who are experts on production an product development and let them inspect the island. 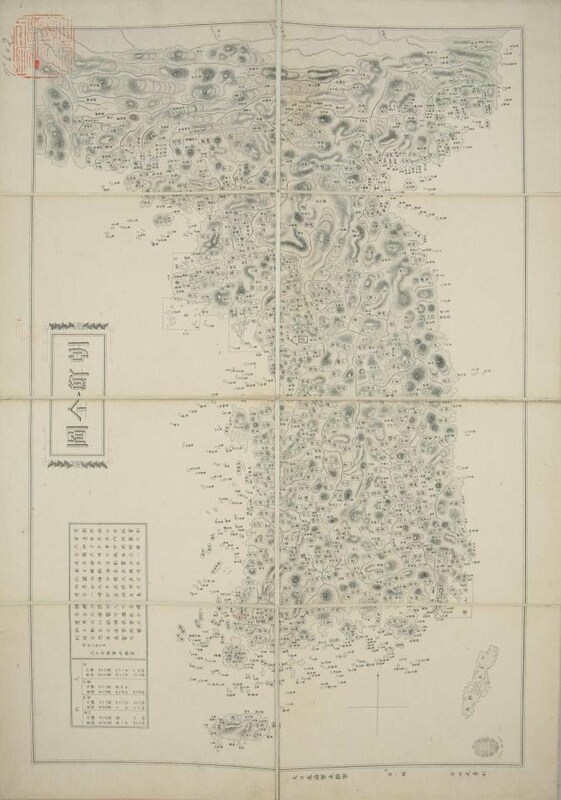 After that, we can compare writings, maps, and documents to finally determine if Matsushima is a part of Ulleungdo (蔚陵島), if it is Usan, or if it is an ownerless island. Then we can consider the benefits of cultivating it. Therefore, since it is impossible to decide whether to open up the island before we inspect it, we have no choice but to inspect Matsushima. At any rate, it would be regrettable if we accept arguments like Mr. Sewaki’s, who says we should not dare do this. Opinion C (丙): There was a theory in a Bristish newspaper that said the UK needed a naval base in the northern Pacific to stop Russia’s eastward expansion, so they may take notice of an island like Matsushima. Also, I have heard that a British government ship named Sylvia made a voyage from Nagasaki to Korea. We do not know the route they took, as there was no Japanese interpreter onboard, so there is a chance they passed the island. If a UK minister or someone else asks about the island in question, it would not only be embarrassing to say we have no idea, it could cause trouble. Therefore, let’s not debate opinions A and B, on whether we should open the island, since our most urgent task is to determine the status of the island in question. If there is someone willing to inspect the island or anchor near the island, regardless of the ship he uses, we should permit him and hire him to do so. Even if we achieve only what has been mentioned so far, it will naturally cost something. After determining how much it is worth to get the task done soon, we should give Mr. Sewaki a predetermined amount of money and have him do the task within that budget. Although we cannot rule out the possibility that the Korean government will become more suspicious if a Japanese arrives on a foreign ship, since the Korean people on the island cannot differentiate Japanese and other foreigners, I do not believe it will hurt the friendship with our neighbors. As you can see from the above document, the Japanese were unsure of where Matsushima was, but one opinion was that it was Ulleungdo’s Usando. 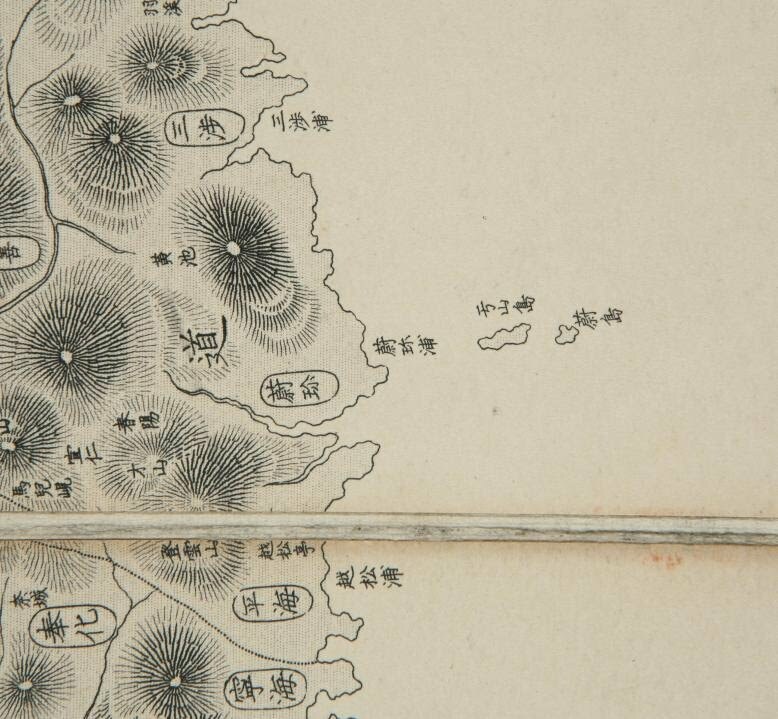 Some Korean historians claim that the Japanese believed Usando to be Liancourt Rocks (Dokdo), but all Japanese maps showing “Usando” (于山島) showed it as a neighboring island of Ulleungdo, not Liancourt Rocks. In fact, some Japanese maps even showed it to the west of Ulleungdo, which means it could not have been Liancourt Rocks. Liancourt Rocks are ninety-two kilometers southeast of Ulleungdo. This document is what you mentioned before. There were other Japanese in this document. Some said Songdo was Usando and attached to Ulleungdo, some others said to investigate. The problem was that pro-Korean people used to say that Tanabe Taichi was saying that Matsushima was Usando which was Korean territory and that it meant he admitted Liancourt rocks (Takeshima/Dokdo) to be Korean territory. But that was incorrect. He only introduced some opinions, as it was natural to have various opinions in democratic countries. And the oipinion only stated that Matsushima was Usando, but it doesn’t always mean it was Liancourt rocks, as Gerry pointed out. And, something is missing. You only wrote the ‘different views’. What is the main view about ‘外一島’ in Japan? Is the main view in Japan this? : ‘竹島外一島’ is Ulleungdo and Dokdo. We are now reading the compiled official documents of the Meiji government and will report about it in the very near future. That will explain why the another island (外一島) was not Liancourt rocks. Thank you for accpting my hasty comment generously. Pacifist et al. I know where you are forcibly leaders the readers on this forum and you are continually fighting the truth. You are wrongfully placing the territorial perceptions of Koreans onto the Japanese. The Japanese called Dokdo, Matushima. These documents say Usando is attached to Ulleungdo and is called Matsushima by the Japanese. The maps you are showing are totally unrelated to the documents you present. They are simply copies of Chosun maps made by Japanese cartographers. I’ve told eveyone on this forum this before. Japanese officials saw Chosun maps that showed two islands. (Ulleundo~Usando) They then compared them to their own maps that also showed 2 islands. They then assumed only the natural conclusion. Ulleungdo=Takeshima and Usando=Matushima(Dokdo). In other words Matsushima is Dokdo and attached to Ulleungdo. This is the only correct way to interpret these opinions that Watanabe Taiichi was referring to. They then assumed only the natural conclusion. Ulleungdo=Takeshima and Usando=Matushima(Dokdo). Is Japanese as stupid as identifying Usando with Dokdo? Now toadface, you miss the context in which the documents are written. Japan lost sight of Dokdo at this period due to the confusion in the midst of transforming herself to the new regime and some confusing maps : that is why they are discussing. In other words, at this period it is impossible for Japan to identify Usando with Dokdo. Pacifist, be logical. Of course these documents are not grounds for Korea to claim Liancourt and yes they are opinions. There were two islands mentioned in the opinion above. One was Ulleungdo which is undoubtably Japan’s Takeshima of old. The other island is what Japan called Matsushima, which in this case could not be Ulleungdo but only Dokdo. Thus these Japanese officials considered Matsushima to be Dokdo. The Japanese government commissioned various officials to conduct an investigation. The not only sourced their own maps but also studied old Chosun documents and even Chinese ones. Naturally Japanese officials assumed Usando was Matsushima. This was the same mistake they made when they copied Seibolds maps of Argonaut and Dagelet. 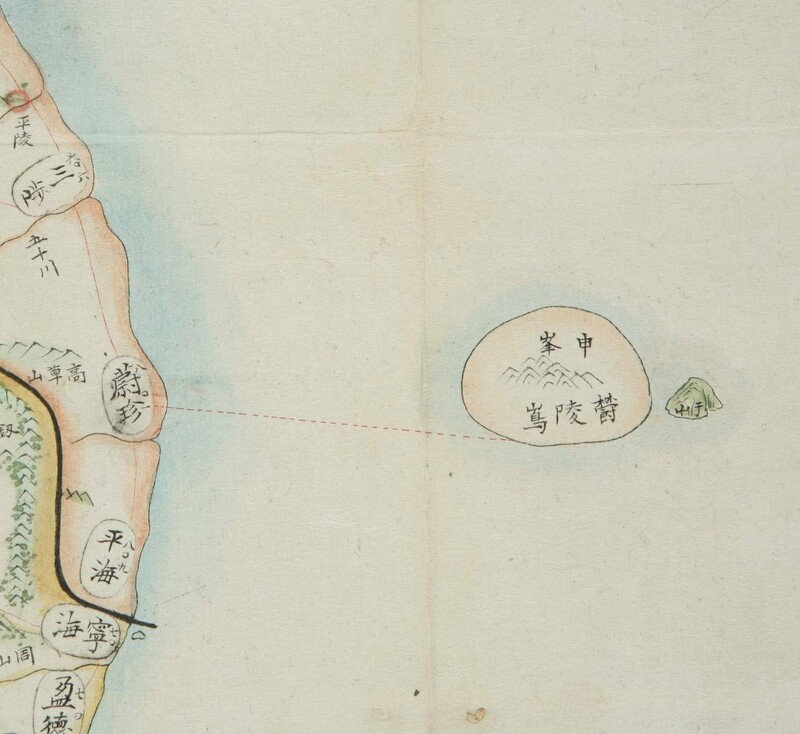 Japanese cartographers generally (and often blindly) followed the principle that 2 islands existed in the East Sea. The point is, from these documents the predominant view was Japan did not consider either Ulleungdo or Dokdo to be part of Japan. Some did consider Matushima (Usando-Dokdo) as part of Chosun. Another relevant point is that after the survey of the region and a clear picture of the East Sea emerged, Japan still did not show Liancourt Rocks as part of Japan, until the Navy annexed it during the Russo~Japanese War. after the survey of the region and a clear picture of the East Sea emerged, Japan still did not show Liancourt Rocks as part of Japan, until the Navy annexed it during the Russo~Japanese War. Thank you. You proved my point. Japan lost sight of Dokdo and therefore it is impossible to identify Usando with Dokdo. what the term actually referred to. 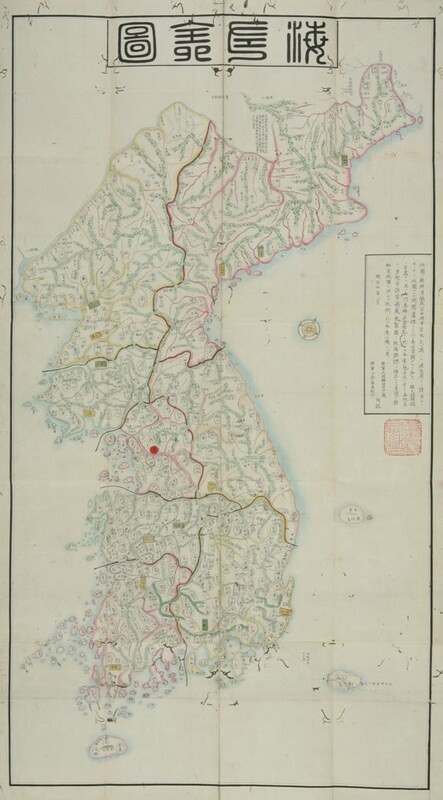 I compared the map of Jukdo today in the seachart and Usando in the hisorical map by Koeran. I think everyone recognize that Usando must be Jukdo from the historical maps and records. Anyone,please edit this maps above like Opp’s Map collection design that explain the location of Jukdo=Usando and Liancourt Rocks. (he think much importance on different location of Liancourt rocks and Jukdo=Usando,on the other hand, I think much importance on its own shapes of Jukdo and Usando. Ponta you’re chasing your tail. The Japanese who were commissioned to do the research into the question of Takeshima (Ulleungdo) concluded that the island they called Matsushima was Usando. Whether or not the Japapnese were confused is not the issue. We can still determine the territorial perceptions of Japan as a nation from the Takeshima report. Other than Watanabe Kuoki who was using foreign maps for reference the overall majority of Japanese did not consider Songdo as part of Japan. The identity of Songdo is moot. After the survey by the Amagi Japan maintained a hands off policy of Ulleungdo and Dokdo until the Japanese Imperial Navy systematically surveyed, annexed and intergrated their island into Japan’s war plan in 1904~1905. GMTOR, all of these maps the Japanese Takeshima lobbyists are citing all show the same flaws. They show 5 islands on the South shore of Ulleungdo that simply do not exist. 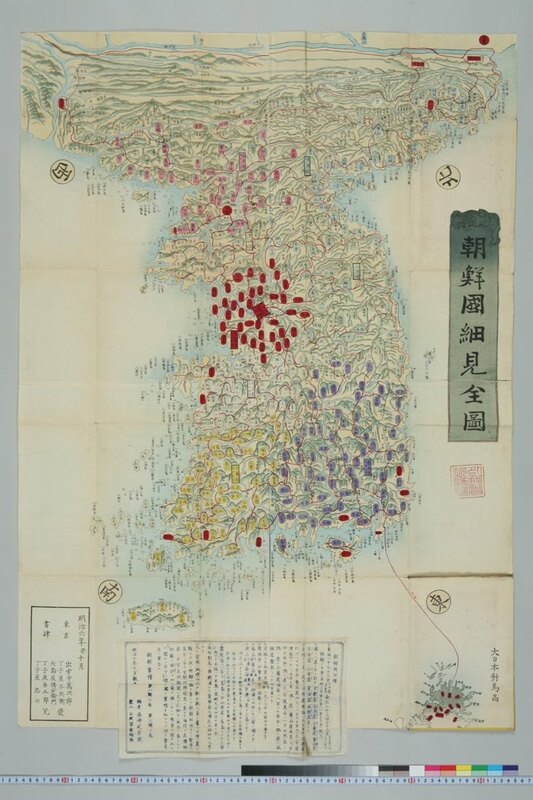 This also goes with the map showing bamboo on Usando and the map used on the Daehanjiji. It’s clear these maps were copied through the ages and were not based on accurate surveys. Toadfaces, They clealy write Usan on the place of Jukdo,not liancourt Rocks.In additon,there are Hanjing bamboo on Jukdo.It is crutial. In addition, those shape of the island is completely resemble with Jukdo,not Liancourt Rocks. 5 rocks on Ulleungdo maybe exist.It may be 瓮島、北亭岩、亀岩.Ｉcannot confirmed other two.Those rocks on the maps implys the landing landmark for seaman. The important thing is that Usando was not Liancourt rocks to Japanese in the late 19th century, as Gerry showed you some maps. Usando was a small island beside Ulleungdo to Japanese in these days. Actually, they lost the location of Matsushima, which had been Japanese territory, in these days but they didn’t think of Liancourt rocks to be Matsushima yet, and Watanabe thought the rocks to be Japanese territory without doubt anyway. Tanabe Taichi wrote in another document that if Matsushima is not Takeshima (Ulleungdo) and if it locates nearer to Japan, then it belongs to Japan. The opinion A means the (2), in this theory both of Takeshima and Matsushima belong to Korea. And after the inspection by the warship Amagi in 1880, they found that Takeshima was Argonaut (Phantom island) and Matsushima was Ulleungdo. So Takeshima suddenly vanished for Japanese. “There is a small island in the north of Ulleungdo which is called Takeshima, but as I came to know that it is merely a massive rock, my doubt for years was cleared away in a moment. Now I show the map at the left side”. If you see the attached map, you can understand clearly that he meant Jukdo （竹嶼）, not Liancourt rocks. … … … 크고 작은 6개의 섬이 있다. 그 중 저명한 것을 우산도(일본인은 松島라고 부른다)와 죽도라고 한다. … … … There are six big or small islands. Among those, the renowned ones are called Usando(which Japanese calls as matsushima) and Jukdo. 울진지동해(鬱珍之東海)에 일도(一島)가 유(有) 니 왈(曰) 울릉(鬱陵)이라 기(其) 부속(附屬)한 소육도중(小六島中)에 최저자(崔著者) 우산도(于山島) 죽도(竹島)이니 대한지지(大韓地誌)에 왈(曰) 울릉도(鬱陵島) 고우산국(古于山國)이라. An island located in the eastern sea of Uljin is called Ulleung. Among the small six island attached to it, the most conspicuous ones are Usando and Jukdo. And In the Taehanjiji, Ulleungdo was written as the ancient Usankuk. 松島(독도)는 여지승람의 삼봉도가 될 것이며, 明治 16년(1883년) 다시 韓日 양 정부의 담판이 있었다. 우리의 어선을 불러들여, 다시는 가지 않게 하여 분명히 조선의 소속으로 하였다. The residents say that “The sea route length is about 69 ri from Hukuura to Matsushima[Dokdo], about 100 ri to Takeshima[Ulleungdo], about 136 ri to Chosun”. Matsushima(松島) is likely to be the very Sambongdo(三峯島) written in Yeojiseungram(輿地勝覽), and once again there was a compromise between two governments of Japan and Korea. Our fishing boats were forced to come back and not to go there again, and therefore It became clearly belonged to Chosun. No matter whether the fishing activity of Japan is overwhelming at or near Dokdo, it is nothing but the imperialistic greedy economic exploitation about the natural resources in neighbouring Korea, prior to the 1905 secret and one-sided annexation. Silent morning, Holy morning. Oh, today is holiday. Could you score my poor English level? I want to hear your comment, too. I regard the contents of my comment above as an important part of ‘Dokdo Bible’. I think the ICJ will not welcome Japan about Dokdo. 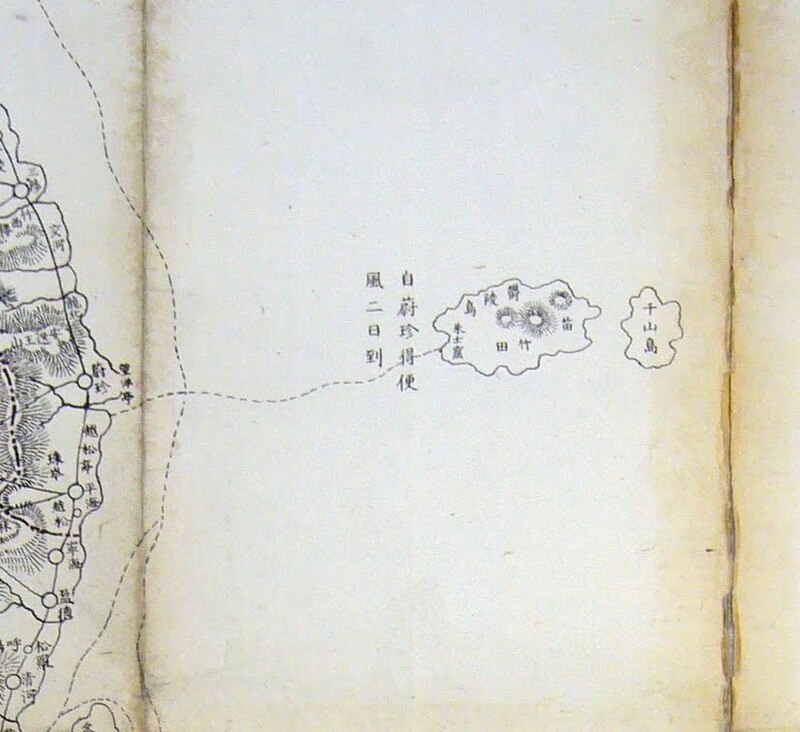 The statement “Matsushima is Usando” started with An Yong-bok’s confusing statements in the 1690s, but Korean maps, both before and after An Yong-bok, showed Usando to be a neighboring island of Ulleungdo, not Liancourt Rocks. In fact, not even one Korean or Japanese map has ever shown Usando to be Liancourt Rocks; therefore, the 1901 Japanese text was simply repeating a statement that had been repeated several times since An Yong-bok’s “big adventure” a couple of centuries before. Sambongdo was almost certainly another name for Ulleungdo, not Liancourt Rocks. In fact, there is a Korean document that very clearly describes Sambongdo as Ulleungdo. Also, it was from Ulleungdo (Takeshima) that Japanese were brought back from in 1883, not from Liancourt Rocks. I do not know much about the two Japanese texts you mentioned, but the 1907 text seems to have some serious inaccuracies. For example, by 1907, a couple of decades had already passed since Ulleungdo was being called Matsushima, and since 1905, Liancourt Rocks was Takeshima, not Matsushima. In conclusion, the author of the 1907 document seems to have been confusing Matsushima and Takeshima because it was Ulleungdo that Japanese were brought back from in 1883, and it was Ulleungdo that was almost certainly Sambongdo, not Liancourt Rocks. As for your English, it looks pretty good. I guess I would give it a B+. Gerry, thank you for your reply. In fact, not even one Korean or Japanese map has ever shown Usando to be Liancourt Rocks; therefore, the 1901 Japanese text was simply repeating a statement that had been repeated several times since An Yong-bok’s “big adventure” a couple of centuries before. 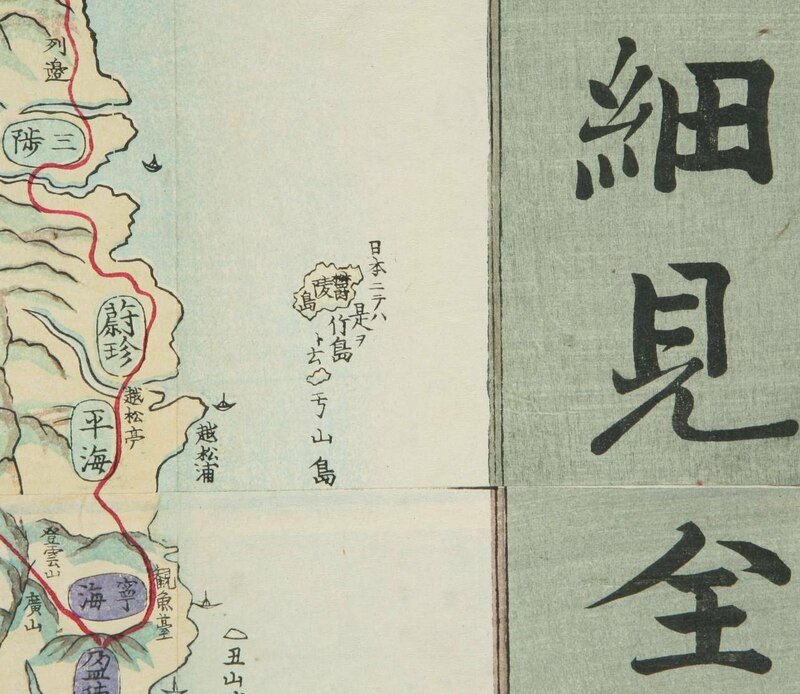 You only said about “map” to keep ‘Takeshima Bible’? But, there are many maps which don’t match your or Japanese claims. By saying “…the 1901 Japanese text was simply repeating …”, you are trying to “skip that historical proof”. Sambongdo was almost certainly another name for Ulleungdo, not Liancourt Rocks. I know some Sambongdos which described Ulleungdo. That’s not all. In this text, it is indicating “三峯島(Sambongdo)” of “別有三峯島”, which is never Ulleungdo. but the 1907 text seems to have some serious inaccuracies. For example, by 1907, a couple of decades had already passed since Ulleungdo was being called Matsushima, and since 1905, Liancourt Rocks was Takeshima, not Matsushima. I’m sorry for missing something. I didn’t say this : The dictionary was first edited in 1900. Then, without change, it has been publishing again and again until now (as far as I know !). In 1907, that book was published for the 2nd time. And, as you know, Dokdo was called Matsushima by the Japanese, which was written in 通商彙纂(1902). I’m a poor guy (working now!). So, please understand my very long absence. Gerry, I was wondering what all of the different colored large dots meant in the first map. Are they to represent cities? I guess I should have said, “At least a B+.” Yes, my students also say that I am a strict grader, but, actually, a B+ is a pretty good grade in my book. I have not paid much attention to your writing, but I could probably give you an A. By the way, I think that Korean professors tend to give way too many A’s, which cheapens the grade. In Korea, it is not uncommon for 30 percent of a class to get an A, even though probably 10 percent or less really deserve it. I think giving too many As is unfair to the people who work especially hard to earn them. Okay, MyCoree, can you show me a Korean or Japanese map that shows “Usando” as Liancourt Rocks? What historical proof are you talking about, MyCoree? An Yong-bok said that Matsushima was Usando, but the distances he also said that the distance from Ulleungdo to “Matsushima” was farther than the distance from Ulleungdo to the Korean peninsula, which is the exact opposite of reality. Also, Korean maps right after the An Yong-bok incident showed Usando to be Ulleungdo’s neighboring island of Jukdo, which is 2.2 kilometers off of Ulleungdo’s east shore, and before the An Yong-bok incident, Usando was shown to be west of Ulleungdo, instead of east. Even in 1900, Japanese were referring to Ulleungdo as “Matsushima” and Liancourt Rocks as “Liancourt Rocks.” Also, as I said, in 1883, Japanese were brought back from Ulleungdo, not Liancourt Rocks, which suggests that the author of the 1907 text was confusing Ulleungdo for Liancourt Rocks. I would translate in my way: “Matsushima should be Sambongdo which was written in Yeojiseungram. In 1883, there were negotiations between Japanese and Korean governments, and in result, we made fishing boats back to Japan, prohibited them from re-residing and made it clear to be Korean territory”. The depiction about the 1883 incident is clearly about Ulleungdo, not Liancourt rocks. And as far as the 1883 incident was concerning Ulleungdo, the depiction about Sambongdo should be Ulleungdo. Dokdo was called Matsushima by the Japanese, which was written in 通商彙纂(1902). There were confusion in the name of Matsushima in the early Meiji era but after the inspection in 1880, the Meiji government recognised that Matsushima was Ulleungdo. But in the local area of Shimane or Tottori prefectures, they still called Ulleungdo as Takashima. So it is no wonder they called Liancourt rocks as Matsushima, it is the original name anyway. There are six big or small islands. Among those, the renowned ones are called Usando(which Japanese calls as matsushima) and Jukdo. These 6 islands were apparently islands around Ulleungdo, not a 92km far island. I think there is a misunderstanding between Japanese and Koreans. “Usando is Matsushima” means “Jukdo is matsushima” for Japanese, and “Dokdo is Matsushima” for Koreans, because Japanese never ever recognised Liancourt rocks to be Usando. Japanese in the Meiji era knew Usando as a small island beside Ulleungdo as many maps in those days showed. Yes, the colored dots represent towns and villages, and the colors are different for each province. You allocated too many words about my humble comments and kidding. The grade is very subjective. I majored in English. I graduated 20 years ago and don’t use English in my daily lives. The separate facts can explain my feelings about B+?? I’m not sure. In fact, I should feel 感之德之(many thanks)…… Please don’t mention it again. Pacifist, I’m very sorry. Consequently, I hijacked your context. So, I want you to go ahead with the original context. I will disappear for the time being. As all of you know, low-level English users like me consume many times more time and effort to write in English. But, I have my own work to do which is more important to me. It makes me crazy. Sorry again to pacifist. You don’t need to say sorry. I have my own things to do too. But you are welcome to write your opinion when I post another topic, maybe about the “another island” issue. See you. Why you guys bring thisup again? Meji Japan lost war, so any nationalist claims by meji japan is out of question. beside even Tsushima Island isn’t japanese. This is why japan will get fucked by Koreans in near future. Bad choice to mess with Korean, this diplomatic drama will never stop unless one dies. I guess it is because the claim that Dokto/Takeshima belongs to Japan is not “nationalist claims by meji japan”. Anyway let the court decide, including Tsushima if you like.